…So we decided to just stay home, make our own food, and watch movies for the day. I mean calling a day “Valentine’s Day” and then making it so that restaurants can charge a LOT for a meal, and everyone can capitalize on branding something as “Valentine’s” themed is a scam. But I still believe that setting a day aside for your loved ones, whether for a significant other, or even just for your friends or family, is still important. So I’m all about the idea of Valentine’s Day! I remember last year, I spent $60ish on a Valentine’s meal and although I did get pretty good food (salmon, steak, scallops etc.) it’s so much cheaper to do it yourself. So instead of a couple spending $120 collectively on a meal, this year, me and the bf spent around $45 instead! Our Valentine’s dinner was quite reminiscent of our first time we cooked together back when we first started dating. 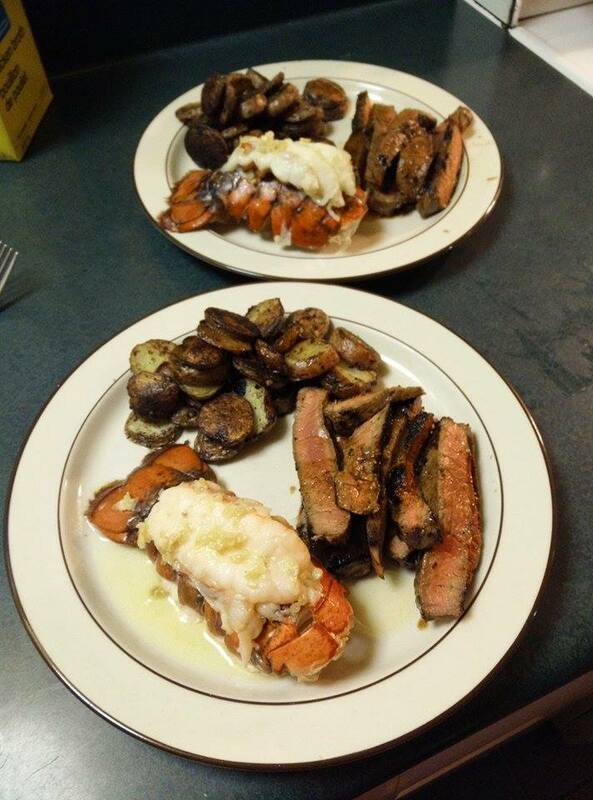 Steak and potatoes, except we also threw in lobster tails this time to be fancy. And then minus-ed the veggies. 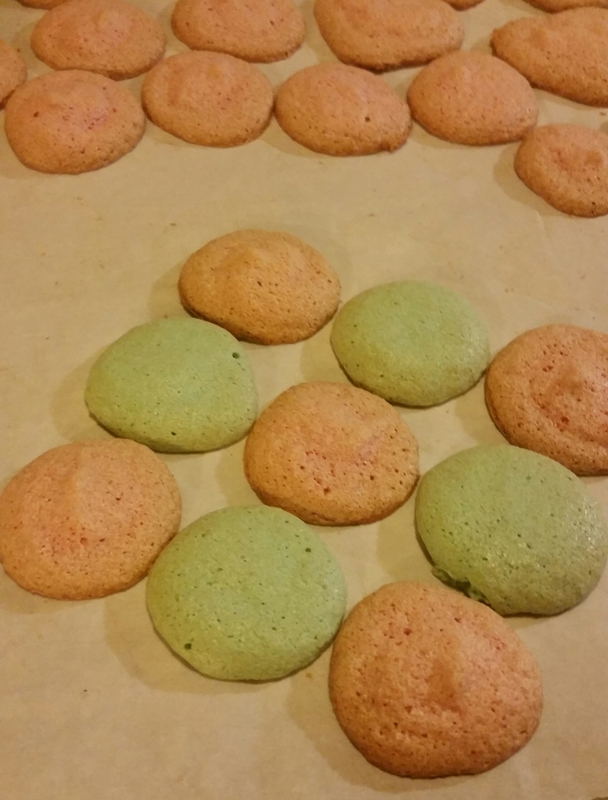 We also spent a good chunk of time trying to make macarons…which didn’t quite work out. its the little things that we cherish, especially in relationships. That is adorable :3 glad you had a great valentines!